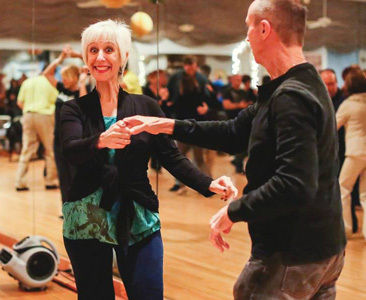 The Tampa Bay West Coast Swing Association is a non-profit organization, promoting West Coast Swing Dancing. We have a board chosen by the members annually. 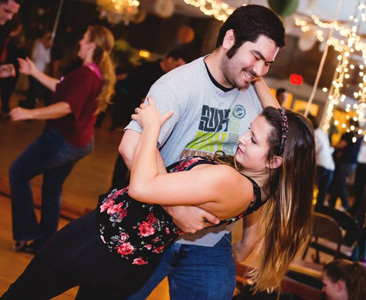 Whether you are an experienced dancer, a beginner, or if you are new to West Coast Swing dancing and want to learn how, we hope you will join us! 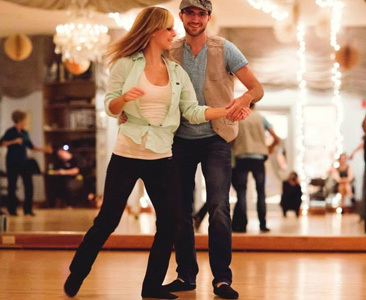 We are an excited group of all ages and backgrounds with a desire to have a great time together dancing! 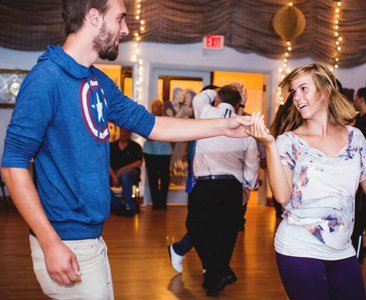 West Coast Swing dancing is what brings us together. Dancing in the Tampa Bay area is a vibrant, evolving dance! One of the wonderful things about the dance is that it can be done to so many styles of music. From contemporary to blues to hip hop to rock. Whatever your taste in music, if the music swings you can probably dance West Coast Swing to it! This dance is great to learn because wherever you are, if you want to dance, you can do it to the music being played! 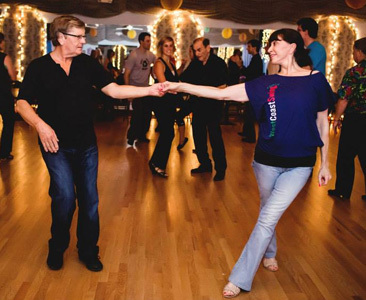 As a result of this versatility, you will find our Association has all levels and styles of dancers; Ballroom, Country, Lindy Hop, Salsa, Carolina Shag, Hustle, Swing, Argentine Tango, classically trained dancers and brand new beginner dancers who want a dance they can do anytime and anywhere, to almost any style of music. You will find a friendly fun group of people who welcome local newcomers as well as visitors from out of town. 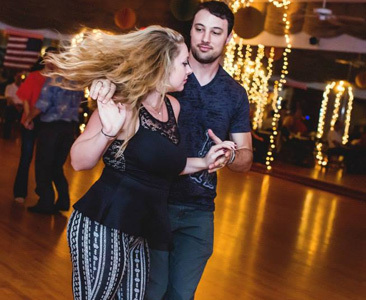 You will find West Coast Swing dancers visiting our dances from all over the state of Florida (Ft. Myers, Orlando, Miami, West Palm Beach, Jacksonville, Gainesville). You might also find visiting dancers from all over the U.S. and Canada as well as the occasional international visitor. If you are looking for a great way to have fun, meet new people, and get a little exercise, join us almost any night of the week!